So as many of you guys know, I'm a bit... weird when it comes to my dragonball collecting habits. While I've been recently branching out and adding transformations for my villains (SSJ Rosé for Black, LSSJ movie Broly and Kale... who is in the villain section of my display despite not belonging there) I have gone out of my way to get or make normal, untransformed versions of Vegeta, Gohan, and Cabba. Part of it's because I'm a fan of having all my Saiyans be at the same level, but it's also because, unlike the villains who typically have an iconic, definitive form and are then defeated, Goku in particular keeps just... adding more transformations. And while I've seen some rather impressive collections of JUST Goku forms, I'm the type of collector who would rather spend money on ONE Goku and spend the rest of his money filling his shelf with side characters. At that point, it's a question of what form is definitive and iconic for a particular character. Now, I'm admittedly more or less set in my ways when it comes to my figure shelf, I thought it'd be fun to discuss favorite forms, what form is definitive to a character, etc. And just to get him out of the way, we'll start with the horder of transformations himself, Son Goku. I did knock out a few (False SSJ, USSJ, Kaioken Blue, partial UI) because they're mostly retreading ground of other transformations and HO BOY are there enough to talk about as is. I'm also leaving Oozaru off because that's really it's own thing (though feel free to talk about it if you want). So I know it doesn't seem like there's much to talk about here, because this is just the same Goku we've seen throughout the entire series, right? Well, for me, that's the appeal of the form... there's something definitively iconic about Goku's signature haircut that makes unique among a lot of the other "spiked up" haircuts sported by many other characters in the series. You can argue minutia, but on some level I feel like SSJ and SSJ2 are a few bangs away from being Vegeta's hairstyle in the same form, and SSJ3 is pretty much just SSJ Raditz without eyebrows. Base form Goku IS Goku, the same Goku we've followed since the Dragonball days, and that sense of nostalgia is part of what's kept that version on my shelf. I've bashed on the Kaioken figuarts figure a ton, but I think my biggest problem with Kaioken vs say, Super Saiyan God is that Kaioken just isn't that interesting looking. It's little more than a red aura on Goku, and nothing is done with it after the initial battle with Vegeta (aside from the pitiful lip service paid to it in the Freeza saga). Kudos to Super for bringing it back in a cool and believable way, but it still doesn't help make it more interesting on its own. I bashed on SSJ a little when talking about Base form, but honestly, I don't hate it as a form or even as a transformation for Goku. There's a reason it became such a huge part of the series instead of fading out of Toriyama's memory like the Kaioken did. It's a simple and effective transformation for Goku, the actual transformation is one of if not THE most fondly remembered moments in the entire series, and it became the benchmark every other Saiyan was required to reach just to stay relevant. I'll be honest, if I had to pick my favorite transformation across the board, it'd be SSJ2. It's a form that goes further with the design changes of SSJ, but does so without becoming silly. It's also the most useful of the forms presented in Z, since it doesn't have any of the drawbacks that USSJ or SSJ3 have on the user's body for an extended fight. However, when it comes to Goku specifically... sadly the form doesn't get a lot of attention. We get one fight with it against Majin Vegeta, and after that it's little more than a stopping point on Goku's way to SSJ3. Add to that the fact that Toriyama straight up admits to forgetting about it and... yeah, it's kinda hard to call it either definitive or iconic. While I don't begrudge fans of this form for liking it, I must admit I'm not really a fan. For me, SSJ3 is where the transformations in Z just went off the deep end into silly territory, both in terms of its design and its usefulness in battle. It eats endurance at a ridiculous rate, burns through fusions, and fails to be effective in practically any fight in the entire series. It's not even that much more powerful than SSJ2, since Vegeta is straight up said to have surpassed SSJ3 Goku with SSj2 and a rage boost. While I gave Kaioken a hard time for being Goku with a bit of red, there's a lot of subtle differences with SSJ God that I appreciate. It's a sleeker form, favoring a thinner physique to the more bombastic over-muscled forms like USSJ, and the addition of red irises and black pupils changes the look of the face in a way I quite appreciate. 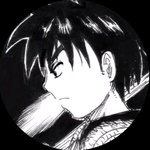 It also lays on the nostalgia factor by retaining Goku's classic hairstyle. Unfortunately, like all of the Super era transformations, not a ton is done with it outside of the initial arc. Still, the powerup actually serves to give Goku some character growth for the first time since the Freeza saga, since he'd basically stagnated for most of Z. 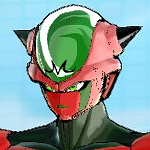 It'd been nice if Super had EXPOUNDED on that, but whatever. It's... fine I guess. Like, I really don't know what else to say about it. It's a decent looking form, calling back to the original SSJ form while retaining elements of the freshness brought about by the SSJ God transformation. However, it really doesn't DO anything aside from being the go-to transformation of Super for most of its run, and even it had to resort to stuff like Kaioken Blue to bring the "cool" factor. Really, I think the biggest issue is that, unlike every other transformation on this list, we never get a really cool "first transformation into the form" sequence. We got to see the first time SSJ and SSJ2 were transformed into on screen, and they're monumental moments in the series. And while Goku learned SSJ3 off-screen, his first transformation into the form serves as a necessary story moment in the Buu saga. Even OSSJ, SSJG and UI were first achieved on screen. SSJB just sorta... happens during Resurrection F, and in that film it's treated like it's a form Goku and Vegeta have had for awhile now. There's just a criminal lack of weight for a transformation that's become the new standard for this era of the franchise. I have not watched more than a few snippets of Super subtitled, and we are a LONG way from getting Ultra Instinct in the dub but... I'm not a fan. It's barely more than a recolor of SSJ God (Toriyama even straight up traced his own character art, though thankfully the anime decided to tweak it a bit so it wasn't a carbon copy), and narratively it seemed to be little more than a cheap way to put Goku on par with Jiren after the show had gone out of its way to establish him as this monster of a character. That said, what IS intriguing about the form is that unlike the litany of forms we've mentioned, this ISN'T tied uniquely to Saiyans. The implications of that are interesting, though given the focus on Goku and Vegeta I doubt much will be done with it (outside of A CERTAIN THING IN THE MANGA but we're not talking about that right now). If more is done with it and they expound on some of the lore behind it I might come around, but right now I just feel like it's yet another boring transformation Super's thrown in to give the illusion of progression. As I see it, if you're displaying non-SS Vegeta, then you display non-SS Goku. If you're displaying SS Vegeta, then you display SS Goku. The other forms are all non-essential to me if you are only going to display 1. If I had to chose one form of Goku, I would definitely go with his base form. This form is most consistently present in the media and merchandise and imo one of the most iconic looks in manga/anime history. But I guess that's still not enough for you. When it comes to Goku you still need to think about all the subtle changes in his clothes troughout his series. With Kanji logo or without? Belt, Go-Kanji on front and back,yellow stripes with red laces on boots. The SHFiguarts Goku v2 has this combination and additionally shows an expression that imho perfectly represents Goku's character. 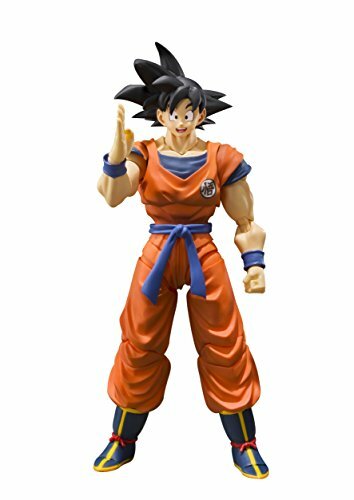 If I had to choose between all figures, this would be the one where I can see most of "Goku" in. TBF, I've had the discussion in another thread, and for me PERSONALLY it's Goku without Kanji (To me, Goku has transcended his masters by the time we get to the Cell saga. The Go kanji is fine in that regard too, but it seems a bit... egotistical for Goku to be wearing his own crest? ), sash, and red boots with yellow rope. That's what he wears for most of Z, and what I associate with the character (especially since I started watching post-namek). Good thing you're not me. If he had any different look to him that was relevant to the story or events, I have to have that Goku in my collection. So, for the craziest example, let's look at the Frieza, Cell, and Buu Sagas.